With no hardware introduced at this month's Worldwide Developers Conference, the rumor mill has been swirling. Unsurprisingly, the most popular involves the creation of the next line of iPad. 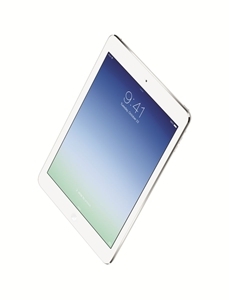 According to a report from Business Insider, Apple is in the process of working on the next version of the iPad Air. By the time June is over, the company will have started mass production on components for the next tablet. The improved camera modules and processes, which will be the biggest changes to the device, will start production in July. The processor is the next-gen A8 chip. It will enable faster performance and a longer battery life. Previous talk of the chip has come up in regards to the design of the latest iPhone. The new camera will be two fold. First is the main camera which will increase from 5 megapixels to 8 megapixels, which would put in on the same plane as the current iPhone. The front camera is also getting an increase going from 1.2-megapixels to 1.5-megapixels. The other major improvement here would be the inclusion of the Touch ID fingerprint scanner. The security device, which was first introduced in last fall's iPhone 5s, will allow users to unlock the device and authorize various tasks just by swiping a thumb print. Every new iPad and iPhone causes businesses to investigate their internal operations to make sure they will be able to add the system to their overall operations. With the help of an Apple support service, any company will be able to speed this process up and make it easier to add them as a tool.